Mary Jane L. Broglio (nee Carrier), 74, of Lorain, died on her birthday Sunday July 22, 2018 at Mercy New Life Hospice Center of St. Joseph in Lorain. 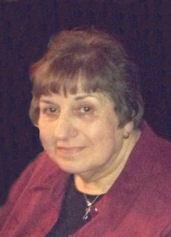 She was born July 22, 1944 in Lorain and had been a lifelong resident of Lorain. Mary Jane graduated from Admiral King High School in 1962 where she played clarinet in the band. She attended the Oberlin School of Commerce and worked as a customer service representative for Columbia Gas. She enjoyed being with her family, her dog Ginger, playing scrabble and other games on her iPad, ceramics and animals. She was a member of St. Peter Parish in Lorain. She is survived by her husband of 51 years Robert L. Broglio, daughters: Kristie M. Broglio of Lorain and Amy M. Kuhlman (Michael) of Amherst and sister Paulette Schneider (Ed) of Euclid. She was preceded in death by her parents James and Jennie Carrier (nee Amato) and brother James Carrier. The family will receive friends Thursday July 26th from 4:00-8:00 pm at the Gluvna-Shimo-Hromada Funeral Chapel, 3224 Broadway Ave, Lorain. A mass of Christian Burial will be held Friday July 27th at 9:30 am at St. Peter Parish, 3501 Oberlin Ave, Lorain. (please meet at church) The Rev. Craig Hovanec, pastor, will officiate. Burial will follow at Calvary Cemetery in Lorain.